A whole new meaning to swipe left. Running out of time to find your liberal loved one a gift for tomorrow’s big holiday? Washington’s got you covered. 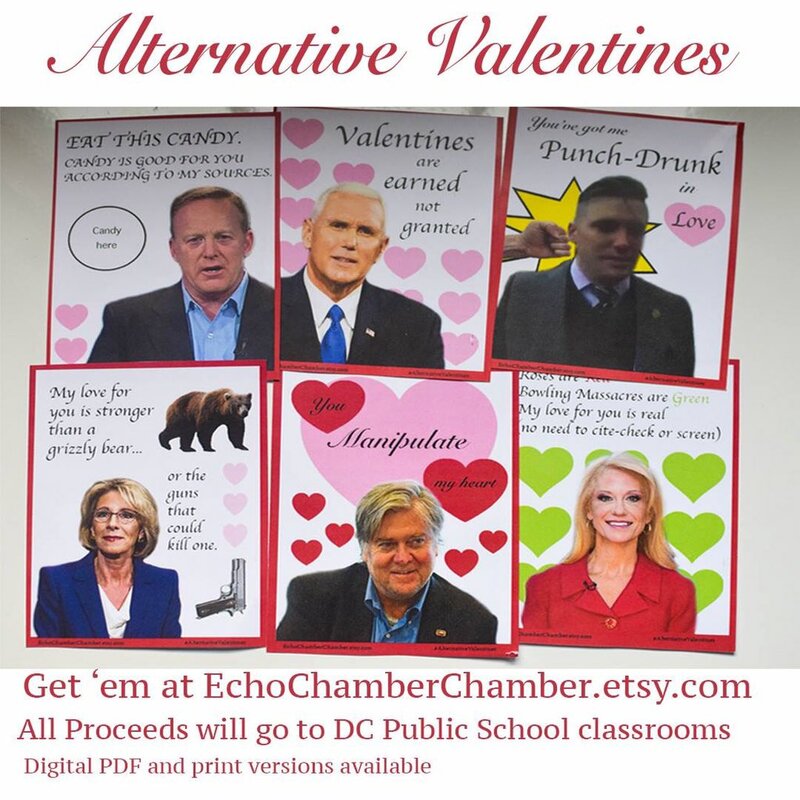 Further proving what I’ve privately coined DC’s “political Field of Dreams rule”—build it and it will become zippy resistance-chic—there’s now a bunch of Democratic party-themed valentines available for the lefty bae in your life. Choose cards featuring messages from current and former presidential candidates, including Mayor Pete Buttigieg, Sen. Kamala Harris, Sen. Cory Booker, and former Secretary of State Hillary Clinton to declare your love and adoration. Bonus sweet nothings come from party juggernauts like Alexandria Ocasio-Cortez and Beto O’Rourke. Interested parties looking to get stronger, together can download the cards via Dropbox.